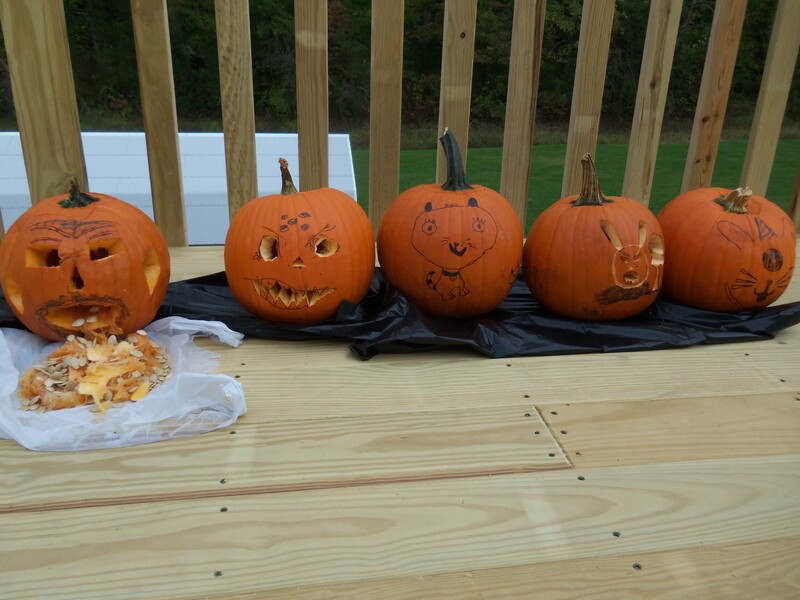 Tis the season…to make funny pumpkin faces and roast the seeds! My brother brought over pumpkins for the kids to carve, and after gutting out each one, there was just no way I could throw away all those wonderful pumpkin seeds. 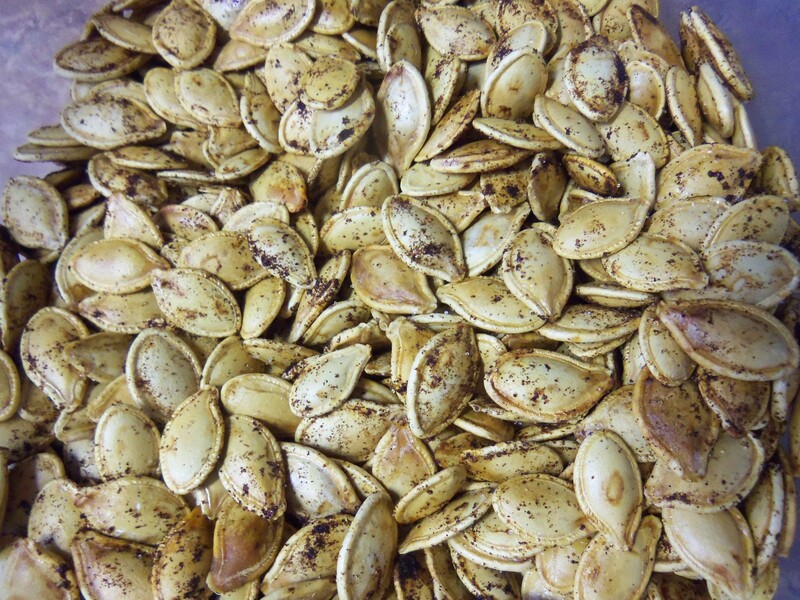 Pumpkin seeds are full of goodness for you. They are high in antioxidants, zinc, vitamin E, manganese, magnesium, and are said to reduce benign inflammation of the prostate!! Wow, how can you not love that? 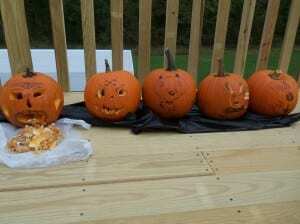 Cut open the pumpkin and scoop out the seeds. Wash them in a colander until all of the strands are removed. Put them on a towel and dry. Your ready to spice and roast! Scrape the seeds out of your pumpkin and sort the seeds into a bowl, trying to get the least amount of pulp in your bowl as possible. Sprinkle salt over the seeds to taste. Add other herb or spice of choice. I like to add paprika and a small amount of cumin. Place in a 350 degree F oven for 20 minutes (watch and stir) and turn the oven off. They will continue to dry out and crisp in the hot oven for some time. Check every 15 minutes until they are no longer chewy, but nicely crunchy. Enjoy!